Last week, while aboard Flagship Cruises & Events’ Marietta, we had the opportunity to see a few whales that couldn’t wait until Baja California to start their breeding process. The whales were spotted only a few miles outside of the San Diego harbor. Typically, while on the search for whales, the first thing we spot is the whales’ blows or even their flukes. 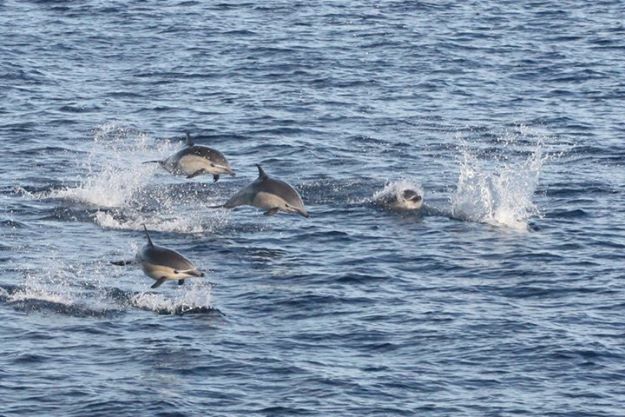 However, on this particular Thursday, the first thing we saw were several large flippers above the surface and splashing, suggesting mating could be occurring. Although scientists are still trying to fully understand the breeding process of gray whales, what they do know is that males don’t engage in combative or aggressive behavior while mating. Typically, gray whales engage in group mating where two males (bulls) will court with one female (cow). The gestation period for the gray whale is 13 months and females give birth every other year (or less often). It’s often hard to tell how many whales you are looking at! How many do you think are in this picture? 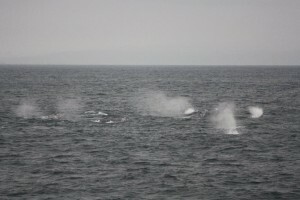 Guests aboard the Marietta enjoyed the experience of getting to see the courtship behavior of the gray whale firsthand. We spent about 20 minutes watching these whales and then continued on to see two more whales during the trip. The second set were displaying sounding behavior and gave the guests a nice chance to observe their flukes, as the whales dove deep under water for about five minutes. 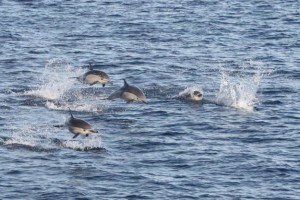 We also were privileged to see the charismatic common dolphin on our trip. The dolphins are always a crowd pleaser as they ride the boat’s wake. Every time we leave San Diego Harbor in search of whales, we never know what amazing sightings we are going to see. 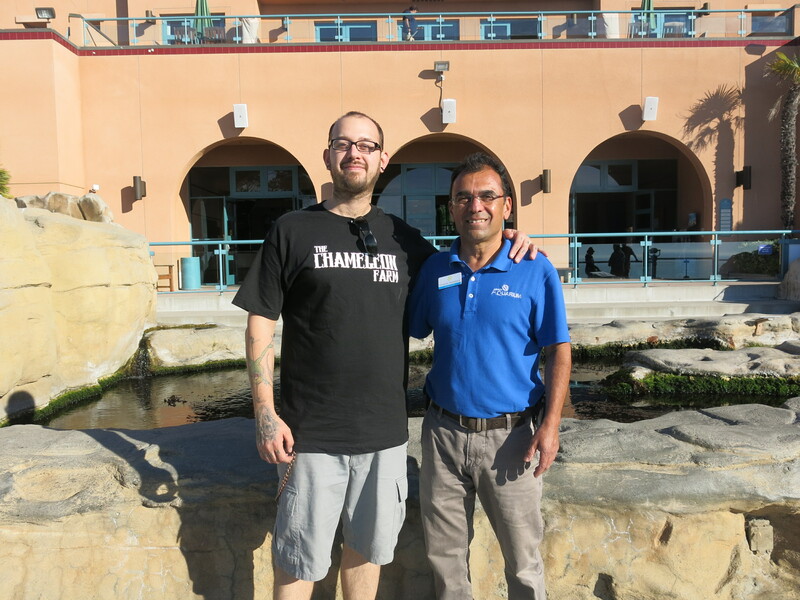 Every day is an adventure, so be sure to join us before the season’s done! Book your whale watching cruise today.